Merry Christmas! Have you all got the x’mas pressiesss? What’s that? I don’t have any x’mas present, and I start to miss the last christmas at Newcastle. Also, I still remember that mummy and daddy always bought me and sister a x’mas present every year, we were so elated during the christmas time. 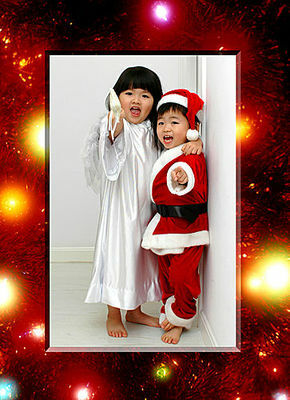 Yes, kids always feel happy to the x’mas just because of the x’mas giftsss! However, this is not a bad christmas for me. I am so glad to have a nice dinner with my old chaps at the christmas eve, and then spent one-two hour with my sweetheart! That’s enough! And this morning, me mummy and bernice (I used to call her ling anyway) went to church to celebrate our JesusChrist’s birthday! I know I can’t demand so much for the christmas like our OWN birthday. So, why don’t we just enjoy it? Ah ha, this remind me that my birthday is just few weeks away..